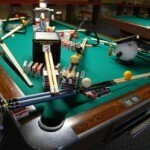 DIAMOND BILLIARD PRODUCTS INC. and DIAMOND PROMOTIONS, LLC. 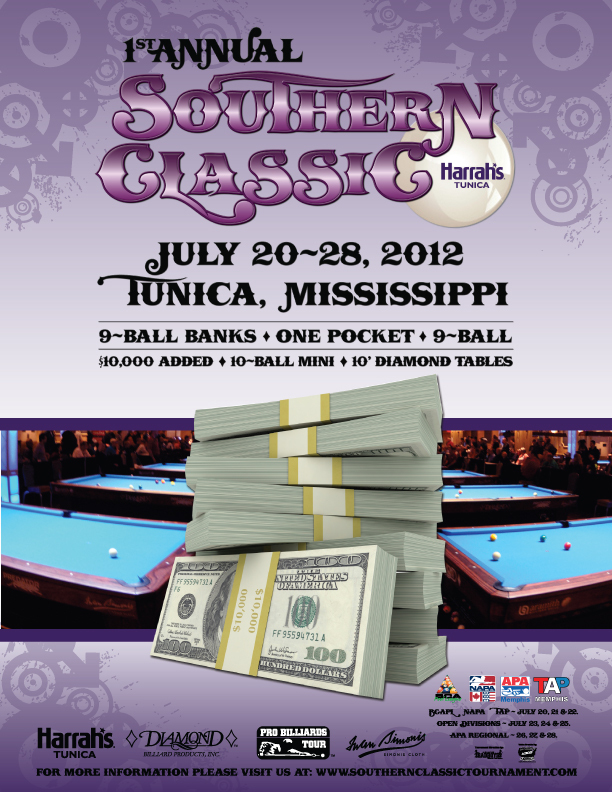 are proud to announce the new Southern Classic pool tournament. 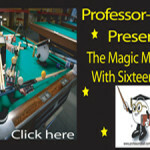 One-Pocket, and 9-Ball into an area rich in billiard tradition and ripe for a big ‘ole pool tournament! The host venue will be the Harrah’s Hotel and Casino located in Tunica, MS. The dates are July 20-28, 2012. 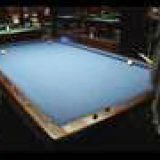 The venue has (2) separate buildings that will hold over (120) pool tables allowing for a “Derby City Classic” like event as well as 9 days of amateur events! tournaments and action for every level of player and is the second step towards the ultimate goal of a professional tour – Chad Scharlow”.